Kingsburg Joint Union High School District in California’s Central Valley will be voting April 11 to arm teachers and staff so that the threat response time can be “immediate” and students can be protected from any attack. Kingsburg is located in Fresno County. Superintendent Randy Morris said the district researched California law on the subject and discovered that teachers and staff with concealed carry permits are allowed to carry on campus “as long as there’s a written policy in place.” So a policy has been written, and the school board will vote on it Monday, April 11. According to Bay Area public radio station KQED, the Kingsburg policy allows up to five teachers and staff to carry on campus at the same time. 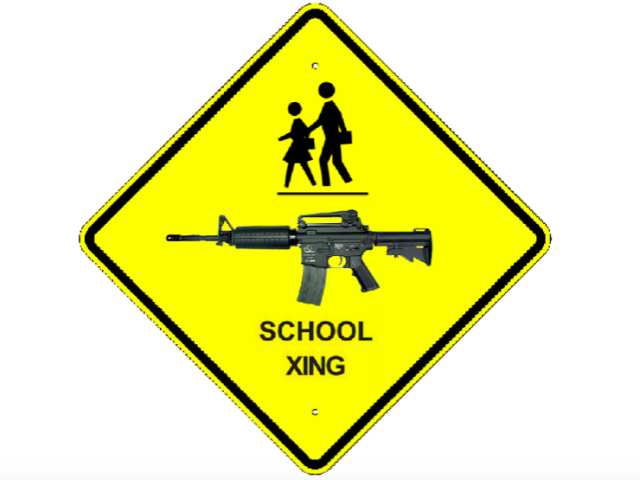 The guns will be carried concealed, and the names of the teachers and staff carrying them will remain anonymous.